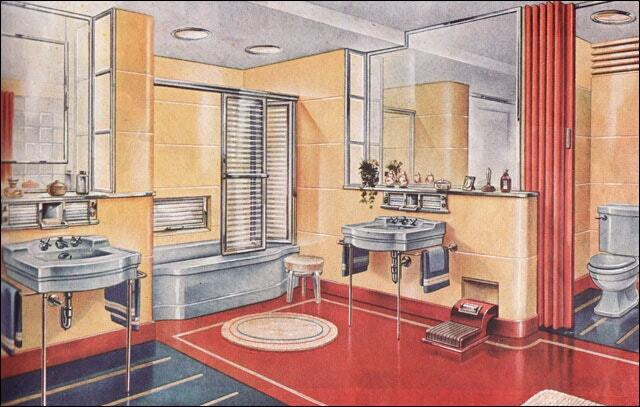 The 1940s had a profound effect on life and design. In the first half of the decade, there was a stylistic holdover from the twenties and thirties that would not end until the war did. During the post-war forties, people yearned for family and security after the long strenuous years of sacrifice. There was a baby boom, and single-family homes in the suburbs became the American ideal. Magazines such as House Beautiful, Sunset, and Better Homes and Gardens established themselves as bibles for modern domestic living. Lively, energetic colours symbolized prosperity. Patriotic red, white and blue became a popular colour scheme as an optimistic and grateful nation pulled together to create a brighter future. 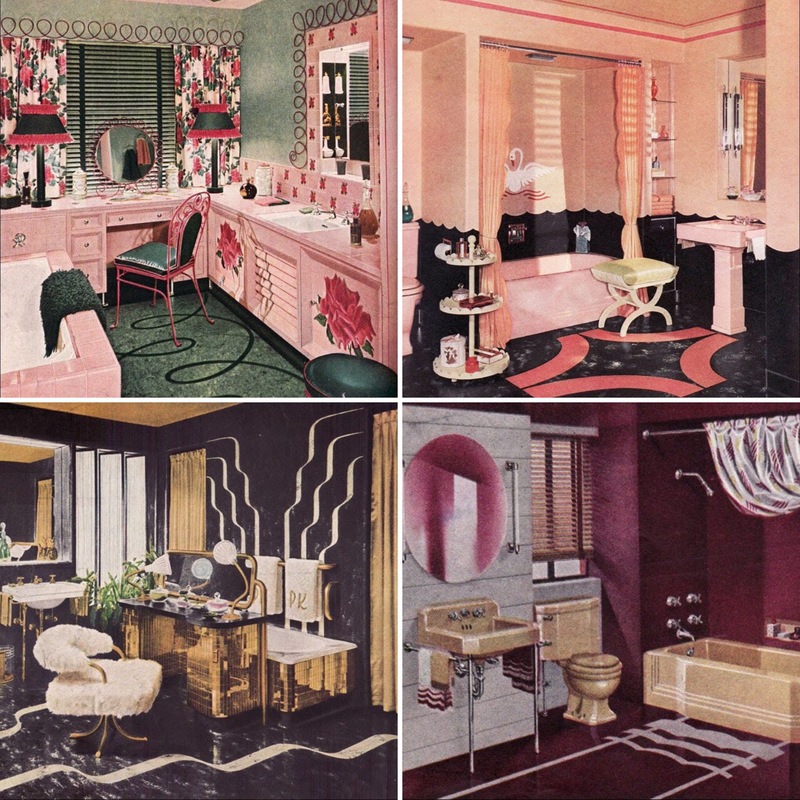 Stylistic touches from the Art-Deco-Jazz Age of the twenties and thirties were most prevalent in the first half of the decade. Classic combinations of jewel tones and chrome with inlaid linoleum floors were a popular choice. The forties were also a golden age for movies, and Americans sought to re-create the glamour of the silver screen in their own homes. 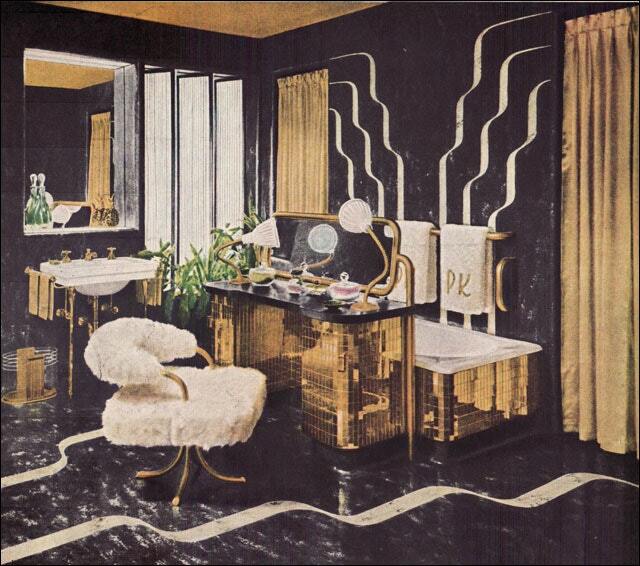 Exuberantly decadent gold tile, draperies, and black linoleum in the bathroom were not uncommon. 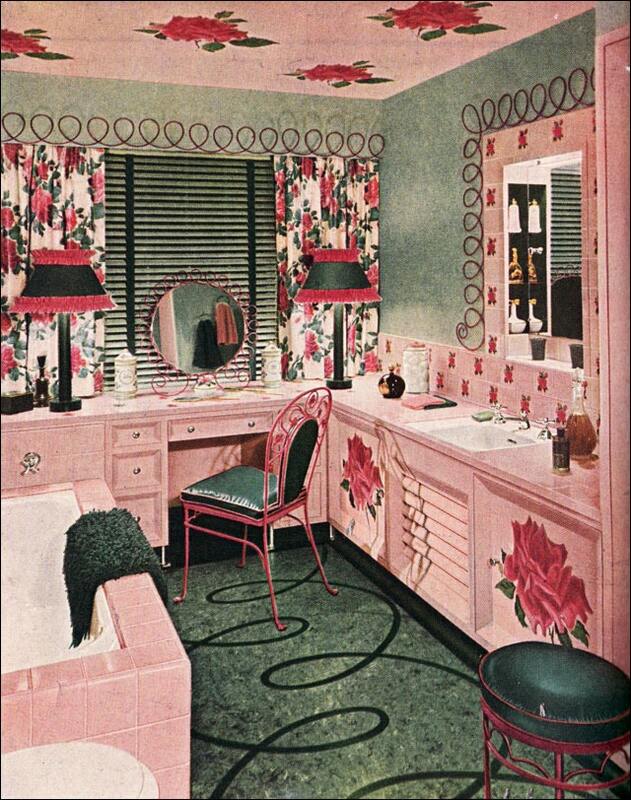 On the other hand, many 1940s interiors exhibited a real sweetness with over-the-top confections like pink and green colours and floral motifs. There was less value in material excess and more focus on celebrating the simple pleasures of life. 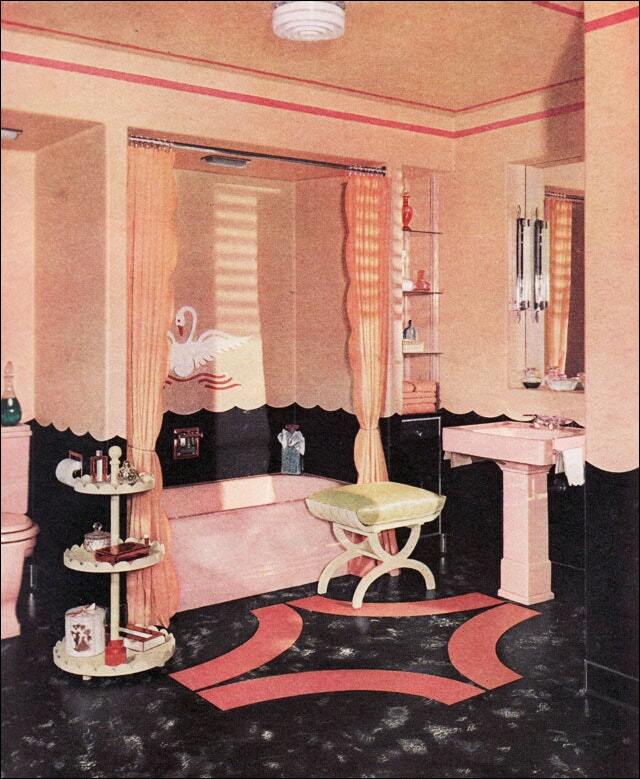 The epitome of 1940s bathroom design: pink, swans, scallops, black linoleum and all. 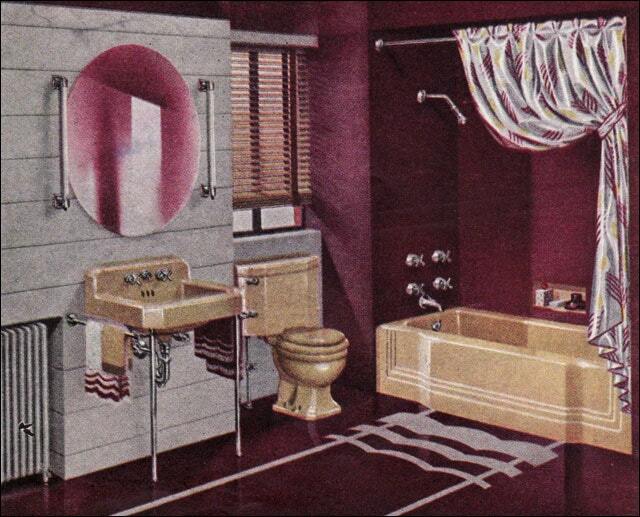 But not to worry, you don’t require a 1940s bathroom to use our highly stylized 1948 Collection. Its geometric shapes and clean lines are suitable for modern bathrooms of all sizes: from family bathrooms to powder rooms. Check it out.